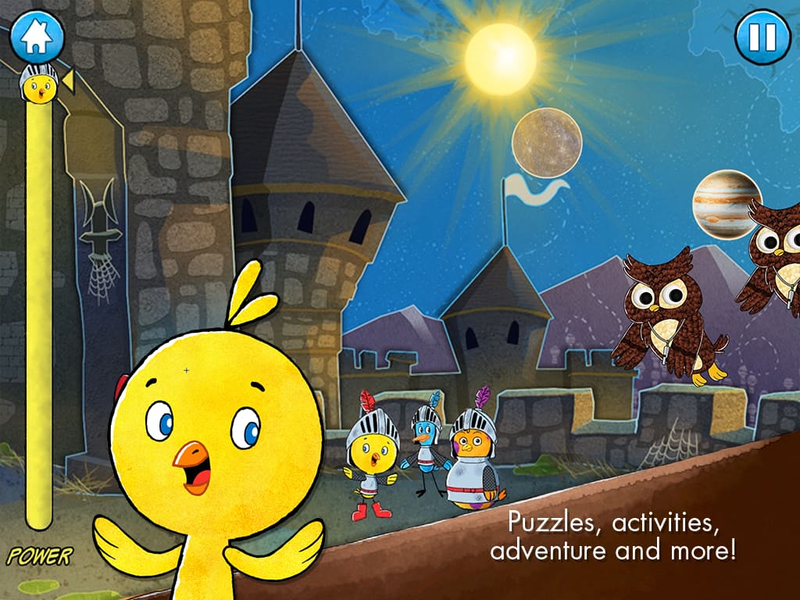 Chirp, Tweet and Squawk are three best friends who use their imaginations and everyday objects to get them into—and out of—fantastically fun adventures and hilariously sticky predicaments. 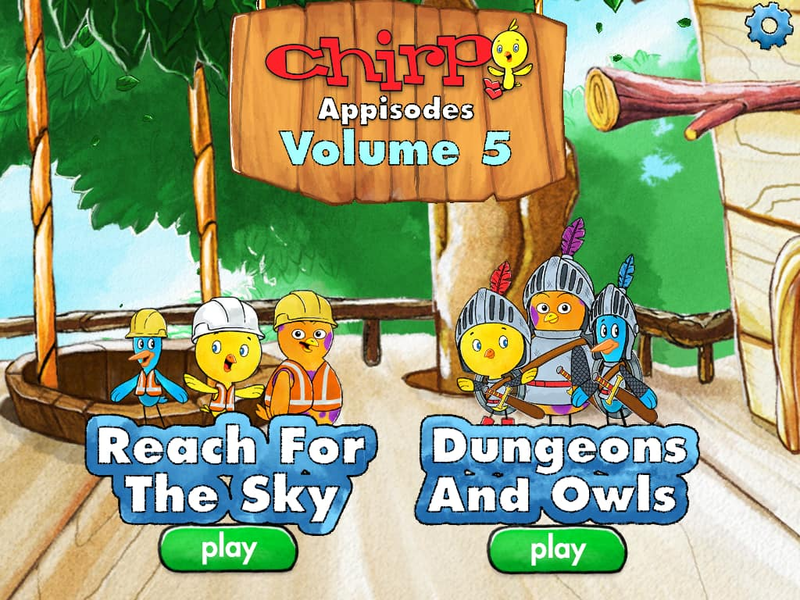 Volume 5 includes two full-length Chirp episodes (Reach for the Sky and Dungeons and Owls), with roof-top calamity on a skyscraper and a magical quest to lob the sun back into the sky. And as with other Chirp Appisodes, there's something extra. 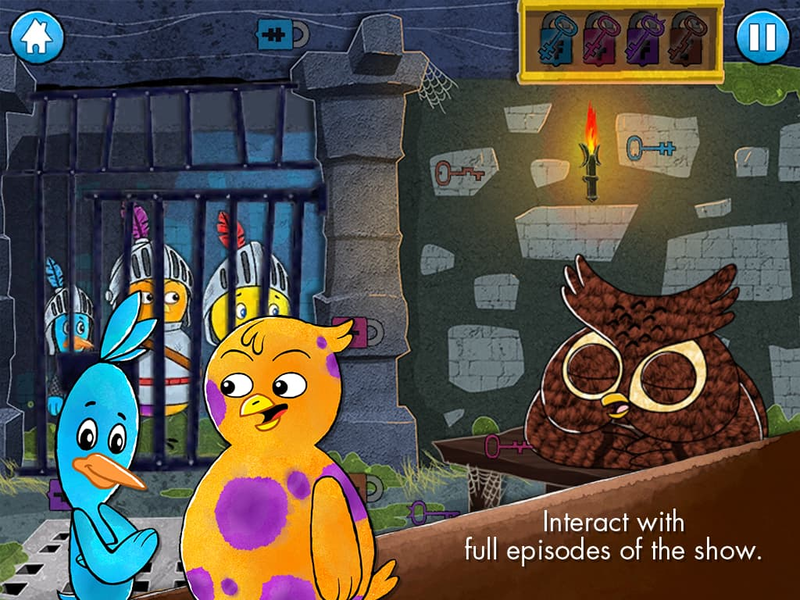 Each episode flows seamlessly into five fun games that stem directly from Chirp, Tweet, Squawk and the Vole Brothers' adventures. 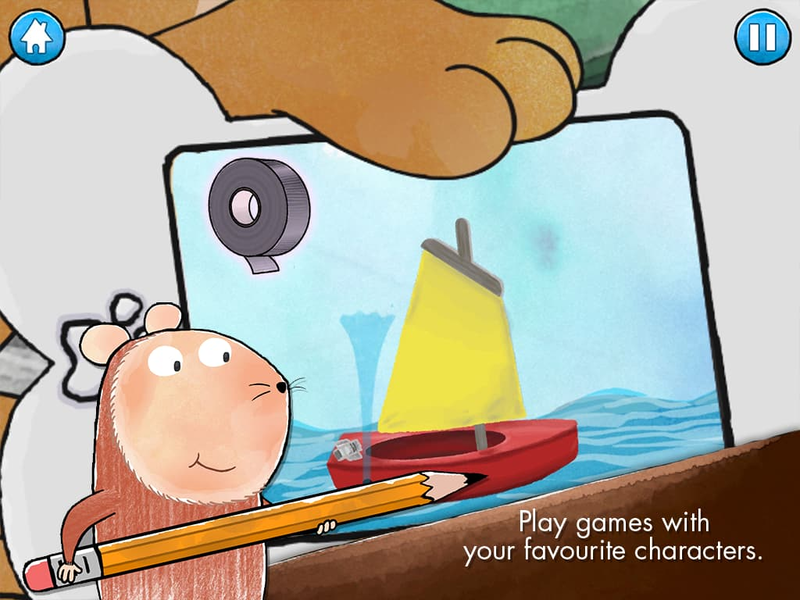 Based on the best-selling and well-loved children's magazine Chirp, the CBC Kids' series celebrates play, imagination and the power of invention.